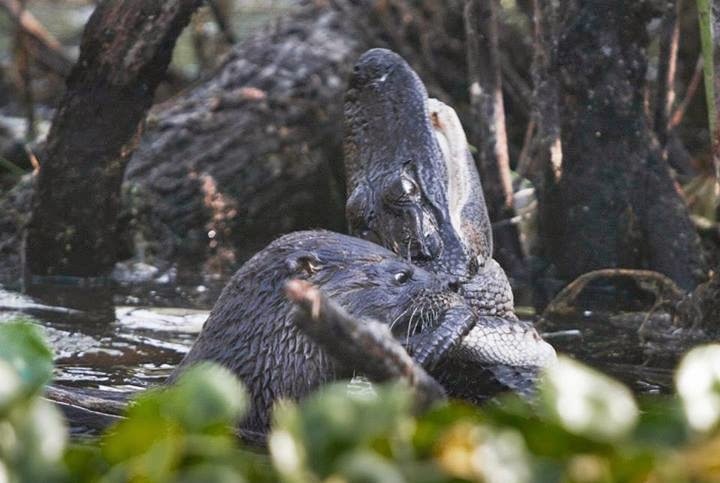 Home » » Cute Otter Eats Powerful Gator? 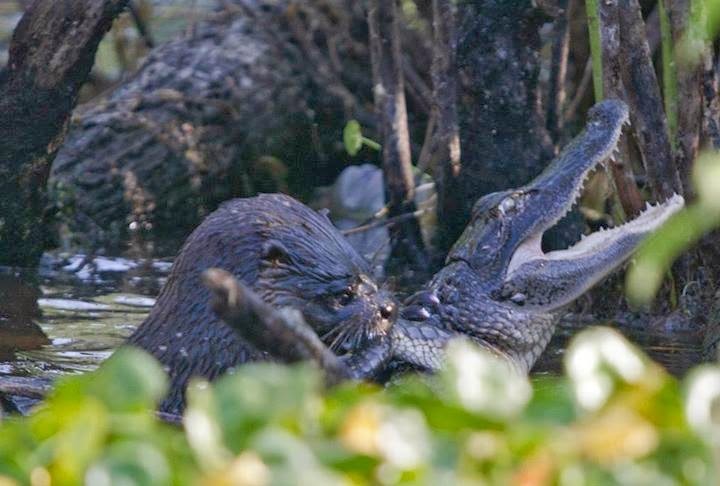 Recovering from the python eating crocodile sensation, here's another jaw-dropping photo encounter of an otter eating an alligator. These "otterly delicious" photos were shot back in 2011 by a visitor of Florida's Lake Woodruff National Wildlife Refuge, named Geoff Walsh. 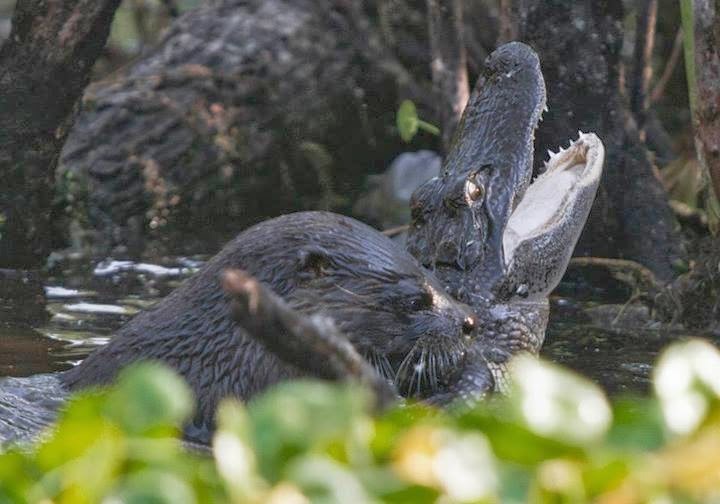 The refuge posted the photos less than a month ago on their Facebook page, which draws attention to animal enthusiasts and and the snake expert, Terry Phillip who then commented: "Man, that's a bold and hungry otter! Very cool." How is this possible? Click here for the National Geographic Experts' Explanation.